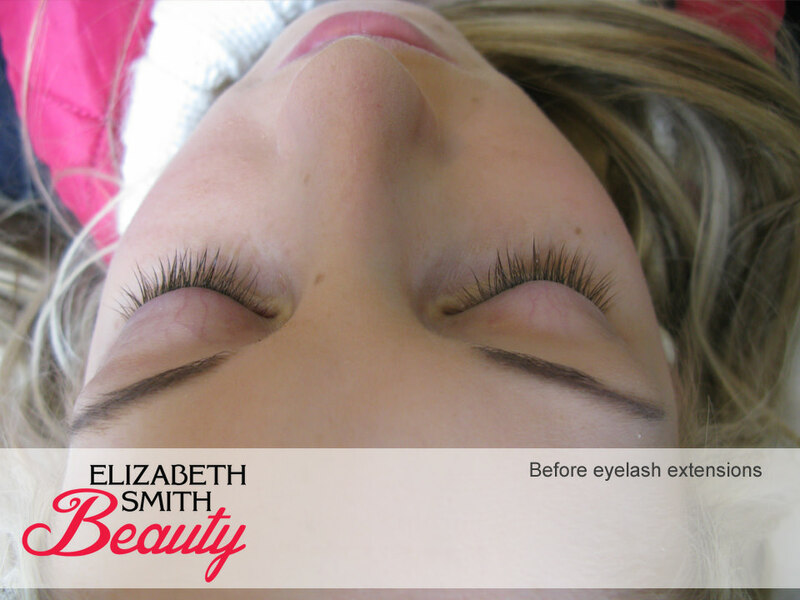 Due to popular request I am taking more before photographs of the eyelash extensions I do. 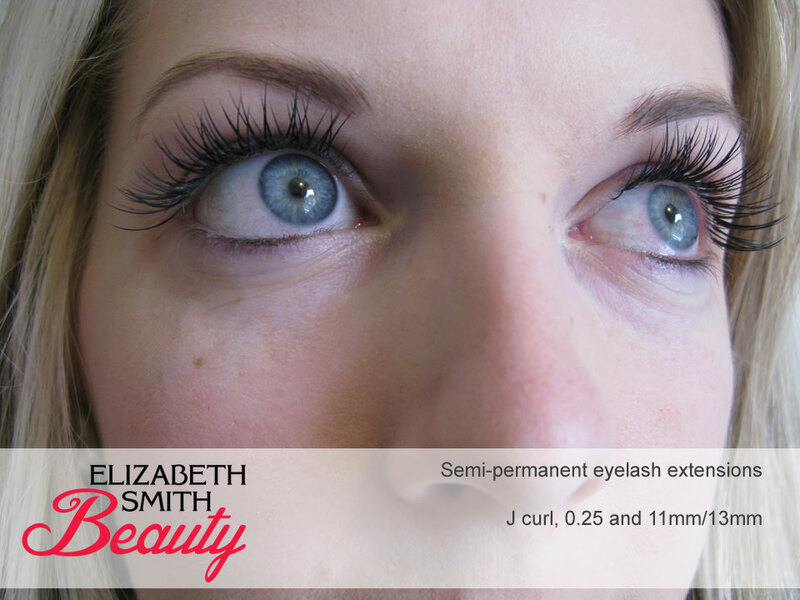 I’m regularly asked “what did they look like before fake lashes were applied?” This is a set of Semi-permanent eyelash extensions using J curl, 0.25 thickness and 11mm/13mm in length. This lady wanted the full false look with really thick lashes. I normally use 0.20 thickness, which is the mascara look. However I stock 0.07, 0.15, 0.20, 0.25 and 0.30 thickness lashes. 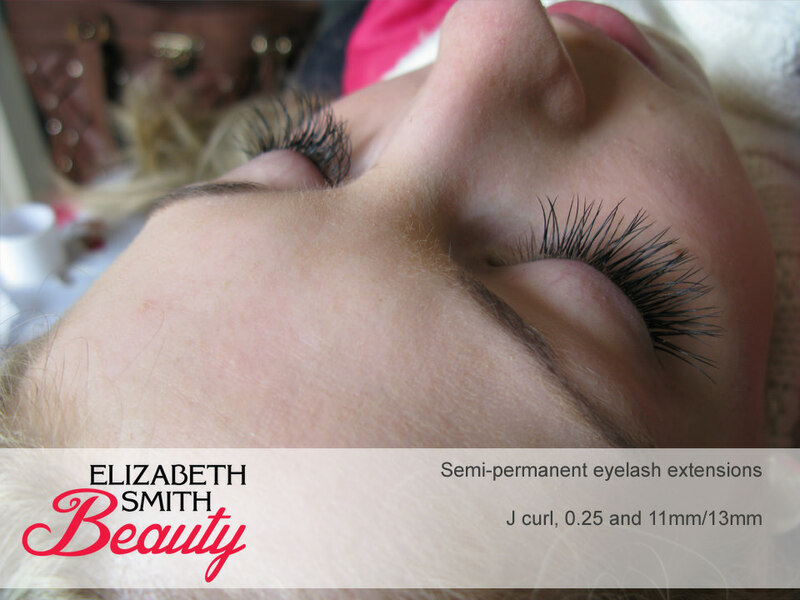 However the longer and thicker you go with your lashes though they harder they are to bond onto your natural lashes. 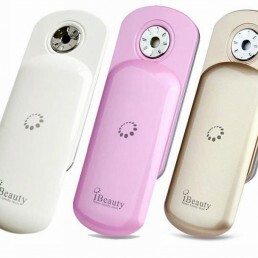 For the best results you need the ratio of contact with false eyelash extension and natural lash to be similar. The longer you go the less contact with the fake eyelash has with your natural eyelash. Hi, I’m a fellow beautician from Sheffield. 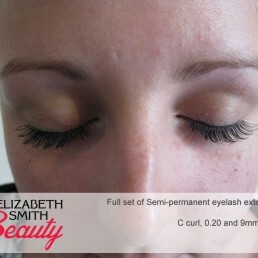 I currently use Nouveau semi permanent lashes standard 0.20 and 0.25’s. I’ve not bothered with using any other but i’ve been looking at the C, D and J lashes. Which ones do you find are most popular? To be honest 0.25 aren’t the greatest eyelash extensions to use as they are quite heavy, so only really strong natural lashes can take them and they won’t last as long as thinner ones. A lot of beauticians won’t use any heavier than 0.15. Best off sticking with 0.15 and 0.20 if you can. My most popular curls are B and C curls by lashbase at the moment. 9mm and 11mm are my most popular lengths.